It is Mother’s Day last Sunday, and happy mother’s day to all ma ma. 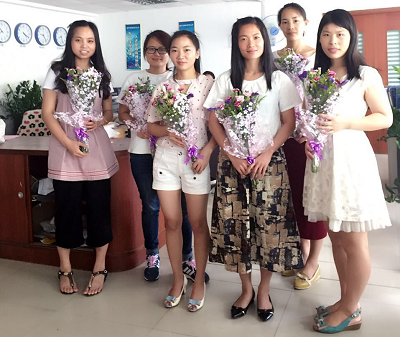 There are six mothers in our Marketing Department, and they are very beautiful mothers with good staff. Wish them a happy mother’s day. So beautiful flower, so beautiful mothers. If you would like to know more details for Mother’s Day, you can check it on Wiki, and here is a quick portal to help you. If you would like to know more information of Flexible Circuit, please don’t hesitate to contact us and we are always here for you. Meanwhile you can send your FPCB file to sales@bestfpc.com for a quick quote.